The winter schedule runs from when the clocks change in October to the end of March and departs at 9am. The summer schedule runs from when the clocks change again in April until end of October and departs at 8.30am. All rides meet for elevenses at a pre-arranged location - please see the calendar for more information. Non club members are welcome to join any of our rides. Please come suitably equipped for the weather, for your own and your fellow riders comfort. Every care will be taken to avoid accidents, but you are responsible for your own safety and Lewes Wanderers cannot be held responsible for any loss or damage, however caused. Please ensure you have appropriate 3rd party insurance. In the event of very cold or bad weather, club runs may be cancelled. The nominated ride leaders will communicate their decision to the membership either via social media channels or at Boots in Uckfield on the morning of the ride. 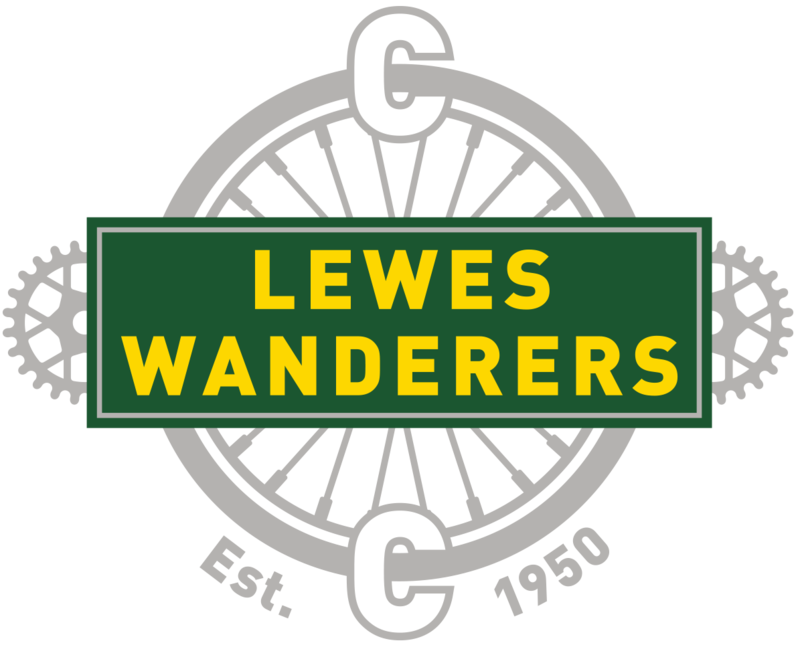 In the event of cancellation, club members remain free to meet at the usual start point and ride at their own risk but this will not be seen as an official Lewes Wanderers club run. Along with the regular Sunday rides there are various other group rides run throughout the year. These include our Wednesday Summer Chain Gangs for more focused training. For all the up-to-the minute and topical club run stuff, see our Facebook page. The Reg Porter trophy is awarded to the club member who gains the most points, based on placings, in the annual freewheeling, speed judging and the tourist trial competitions. In April 1994, the Committee decided that there should be a non-racing trophy bearing Reg Porter's name. A mainstay of Sussex time trialling, they were close friends and supporters of the club for many years. Reg had a great willingness to turn up at any hour, on a regular basis, to help in any way he could ­ and not only as timekeeper. Many members, suffering in long-distance time trials, have welcomed the sight of Reg and Maureen, waiting "up the road" with a drink and a shout of encouragement; and hundreds of weary finishers in our reliability trials have been helped towards recovery with cups of Porter cocoa. Reg was president of the Sussex Nomads, but it was always felt that he and Maureen belonged to us just as much ­which was why they were both made honorary life members. The Reg Porter Trophy is linked to the kind of non-racing events he enjoyed with us and will keep his name alive within the club. Winners of the Reg Porter in past years are below. Please see our club run calendar for upcoming events. Audax United Kingdom (AUK) is the internationally recognised long distance cycling association in the UK. You can find out more about AUK here. 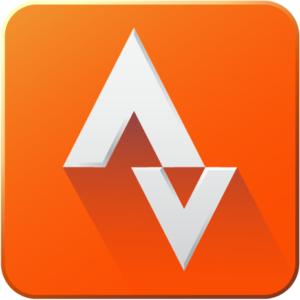 Established in 1976 AUK oversees the running of long distance cycling events in the UK, validating and recording every successful ride. The cycling events listed in their calendar will take you on some of the best cycling routes in the UK. The rides are open to everyone and range from 50km up to 600km. 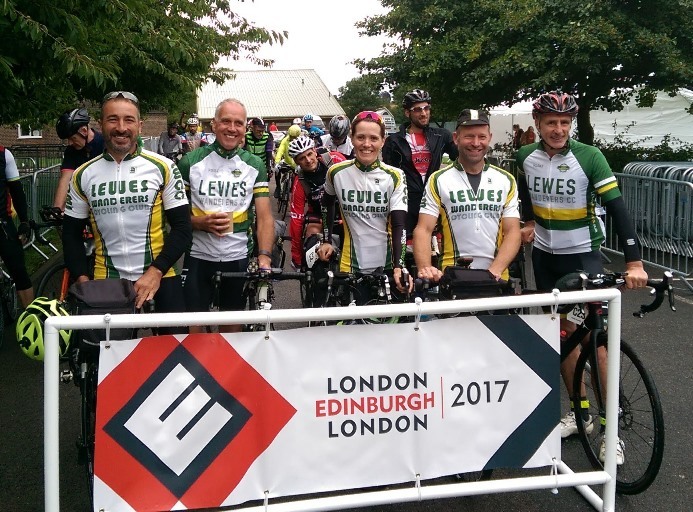 Anyone can ride Audax UK's events, although technically, AUK does not run events; these are run by clubs or individuals under AUK's supervision. When a non-member enters an event, there is a small additional fee over and above the usual entry fee, which gives the rider temporary membership of AUK for the duration of the event. This is necessary for insurance reasons. Audax - Is Latin for bold and was first used in the context of endurance sports towards the end of the 19th century. Randonnée and 'Randonneur - Randonnée' is a French word which loosely translates to ramble or long journey. It's not really cycling specific but in AUK we take it to mean a long cycle ride. 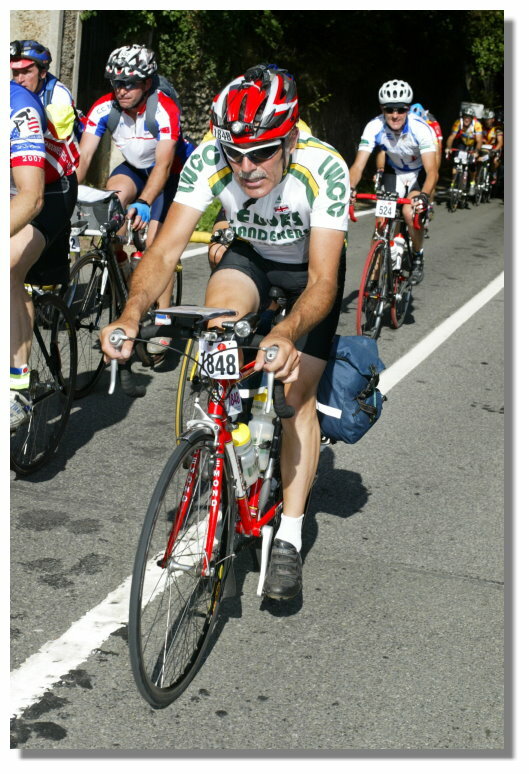 A Randonneur is a person who has completed a recognised 200 kilometre ride. If you complete a 200km, 300km, 400km and 600km in one year you will become a Super Randonneur. Brevet - Is a certificate, more or less. So it's the card you carry, which gets stamped at controls and finally validated by AUK as proof of your ride. The word is often also used to describe the event itself, i.e. a certificated ride. Audax points are awarded for each completed ride, for more information see here. The Jan & Mick Latimer trophy is awarded to the cyclist recording the highest mileage. Our very own Peter Baker received this trophy in 2011, 12, 13, 14, 15 and 16. He is also top of the club Strava leaderboard most weeks too! Peter Baker completed the 1230km of Paris-Brest-Paris. Paul Gibbons, Chris Martin, John Miller & Micky Turner. Paul & Micky completed the 1400km London- Edinburgh-London event. John Miller, Charlie Middleton, Lisa Davis, Paul Gibbons & Micky Turner. Due to illness Paul did not finish, the rest completed the epic event.